State-of-the-art technology, irreproachable mechanics, ultra-sharp team approach, world-class drivers... WEC races are at the pinnacle of what is achieved in the motorsports world! In 2016, there were more than 50,000 attendees at the Belgian meeting of the World Endurance Championship and for years now the 6 Hours of Spa-Francorchamps is one of the musts on the national calendar. Passionate, thrilling from start to finish, the Ardennes event offers a fantastic location. 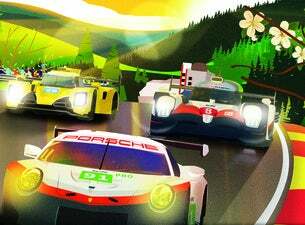 Apart from being a dress rehearsal for the 24 Hours of Le Mans, WEC has always offered an out-of-the-ordinary scenario with multiple twists and a battle for a victory which only becomes evident towards the end of the race. Aside from this dream menu, WEC has always remained close to its fans. Access to the paddocks, to the autograph sessions with drivers, as well as to a host of amusement activities open to the public are all included in the ticket price. To this programme you can also add the various pitwalks, access to which, however, will be limited because of security concerns. These last timetables will be communicated at a later date.